THERE is little doubt that those at CaRT tend to get things in a bit of a mess these days. I'm not only referring to the jumble that are the stoppage notices but repairs that fail all too often, and I believe it is because the staff is not respected so care little, borne out by the never ending advertising for new staff, as all too often the better ones go to where they will be more respected. 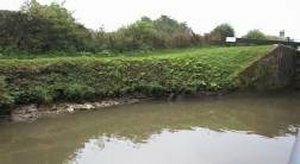 This all started way back in 2001 when a new chief executive did what it seems all new chief executives now do upon being appointed to the ranks of Canal & River Trust—swap all the areas around and so upset those people that then find they have to travel to their new office, often many miles distant. It was that year that we cruised the Kennet & Avon and I met the manager of the then Devizes office who was exceptionally keen to further the lot of the boaters and was pulling out the stops to improve the canal that had only recently been reopened and suffering difficult swing bridges and lack of landing stages at locks as can be seen in the picture. Then the new chief executive decided to move the Devizes office to Bristol, and hey presto, one very good manager lost, who had no intention of either commuting so many miles or managing 'his' waterway from afar. At this time the Nottingham office was moved to Newark, with others also refusing the move. Ever since, come a new chief executive and the areas get shifted and more good people leave, with one chief executive doing it on a regular basis! I don't know about you, but there has been so much movement of offices and areas that I no longer know who is in charge of what. But what really takes the biscuit was the bombshell last year that 50 of CaRT's managers discovered that their jobs were at risk being told they were redundant and had to reapply with the knowledge that they had no idea what their future held. How many lost their jobs was not revealed. How about that for the much acclaimed job security? Yet indeed, for just after this, an advert appeared for more managers, but alas nothing of course to do with boating, but six managers, to include environment, volunteers, attractions, arts, education, community and youth engagement, with knowledge of the waterways not required. 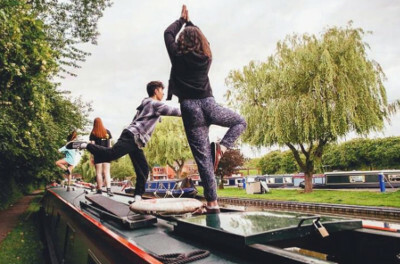 The advert shows this picture of children prancing about on the roof of a narrowboat, that I would have thought was the last thing that children should be doing when cruising, but which just about sums up the knowledge of boating of whoever placed the notice for the positions. So yet again money is being spent away from where it should be spent—on maintenance. No doubt part of an attempt of the 'wellbeing' of the canals for visitors—and bugger the boaters. If proof was needed of this fact, I have just learned that there is to be no repair to Hurleston Locks this winter as scheduled, but is being put back until next winter. Mind you, United Utilities that have a water pipe running inder the access track and cannot bring heavy machinery across, are not helping.